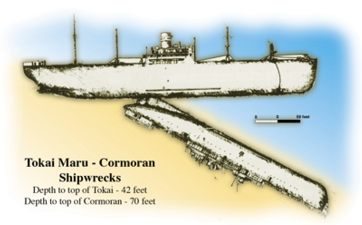 The SMS Cormoran II initially came to Guam in December 1914 out of coal and weary from avoiding enemies throughout the Pacific. While the US was not involved in World War I, Guam&apos;s military governor decided against refueling the vessel, but did allow the German sailors to come ashore. The Cormoran and her crew stayed in Guam for two and a half years, becoming very friendly with the people until the day the United States officially entered World War I.